New technology can be overwhelming, expensive, and difficult to shop for. 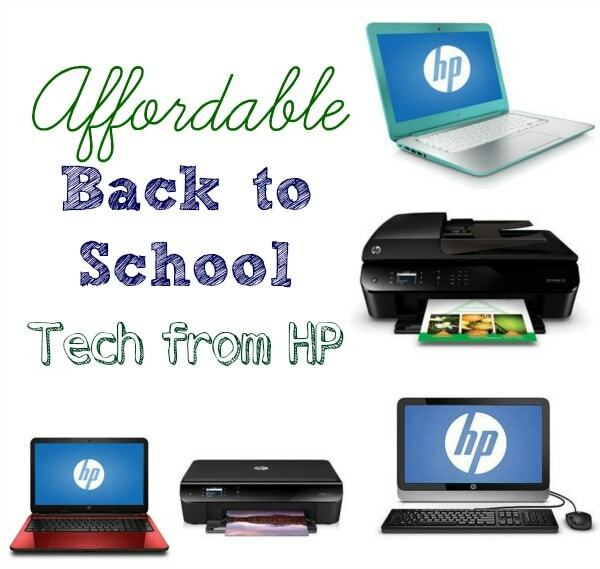 HP realizes this and does everything in its power to make back to school technology shopping easier. This post is sponsored by HP/Walmart, but all opinions are my own. Shopping for new gadgets and technology should be fun, but it’s not always that simple. 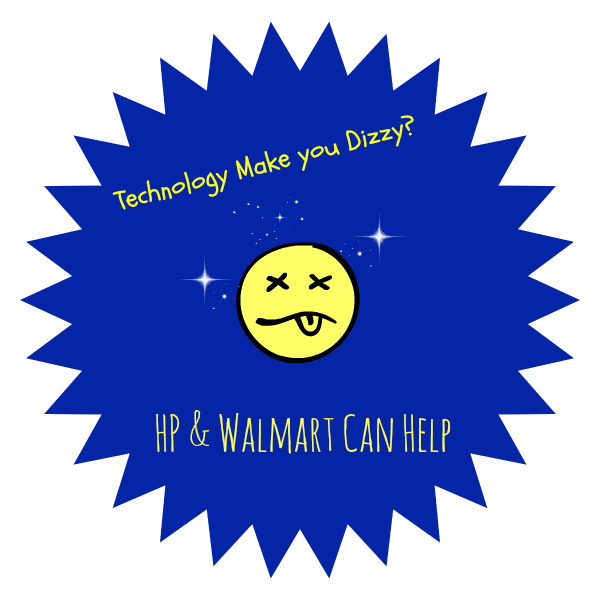 Walmart and HP have teamed up to bring helpful events to ease the back to school shopping chaos. While parents are looking for reliable and affordable products, kids tend to focus on fashion and fun. HP has combined form and function perfectly in their new products to please everyone. Problem #1: K-12 homework tends to be visual. Think flashcards and lots of paper to practice on. Solution: HP AIO 19-2113 and OJ 4632. An affordable desktop and all-in-one printer can inspire creativity and help streamline the homework process. These products are efficient with prices to swoon over. Not only that, the replacement ink for the printer won’t break your bank! Problem #2: College students need multifunctional, space-saving products. You can’t lug multiple devices around campus, and dorm rooms have zero space for large setups. Solution: HP15 laptop and 4502 Printer. A sleek, fashionable, and reliable laptop to easily tote around from class to class. Use the HP Envy wireless printer to print from virtually anywhere. Print sharp, high quality documents from any device. This is time-saving technology at a price that allows you to continue to eat while in college. Problem #3: Busy mom with way too much to remember. Solution: HP Chromebook and 4205 Printer and/or OJ 4632. Mom probably needs as much – if not more – help keeping track of schedules and juggling events come back to school time. The Chromebook is not only pretty, coming in Peach Coral, Snow White, and Turquoise, but it’s an ideal tool to help with organization. It even comes with 4G, so no wi-fi, no problem. Sitting at games and/or in pickup lines won’t stop you from getting your work done. Obviously, these devices are great for everyone, not just the school-bound. As a blogger, I have my eye on every one of these devices. Next time I head to Walmart, there will definitely be some hands-on action in the technology department with myself and that Chromebook! Which HP device looks the most useful to you? Disclosure: HP Show N Tech partnered with bloggers such as me for their program. As part of this program, I received compensation for my time. They did not tell me what to purchase or what to say about any product mentioned in these posts. HP and Walmart believes that consumers and bloggers are free to form their own opinions and share them in their own words. HP and Walmart policies align with WOMMA Ethics Code, FTC guidelines and social media engagement recommendations. My oldest is going into 5th grade, so he doesn’t need anything yet, but next year when he goes into middle school he’s going to need a laptop. Good to know I can get one at a decent price at Walmart when the time comes. I love HP. Those things never wear out! Usually I had to replace an HP printer just to move on with the times. That thing just kept chugging along. I was kind of sad to have to let it go. One of the best things about HP products is their durability. They’re also extremely user friendly. It’s true, my early elementary kids come home with SOOO much paperwork. I’d like to have more worksheets for my at home preschooler, though. The printer sounds perfect! HP make some seriously great products. They’re easy to use, and they’re very durable. I love them. Love the deals on HP. We have had HP products since I can remember. I love HP, definitely a wireless printer. Helps with everything! I have both an HP laptop and an HP printer. I’ve had them for quite a few years now and find them both to be very reliable and affordable. No complaints here. I’m an HP fan for sure! Great post! We recently realized that we can no longer be a one-computer family. My son has too much to do on the internet so we had to buy another. I looked at Walmart and they had great prices! We have always loved HP printers and are in the market for a new one! I’ll have to check out what they have at our Walmart! I am in need of a faster laptop, I can see mine is getting slower and slower! I love HP products, they seem to work great. We have always had HP printers and they’ve always been the best! My first laptop was an HP. This is a great post, especially this time or year when we are looking at several things like this. Thanks! Thanks for the tips. I was just discussing laptops with my almost 17 year old niece. I’ll let her know that Walmart has good options. Wow, HP has the coolest tech stuff for students bad even me! I need a new laptop like yesterday! It would be so convenient to have a laptop of my own. I often use one at work. I’d really like to replace my desktop with one, actually! We just purchased my daughter an HP for her schooling. I can’t believe I purchased a computer for a child of her age…but she needs it and I love HP! The laptop for sure! I need a portable solution so I can still get work done while on the go. I really love the prices on their products. I will have 3 girls who need computers for school and if the prices remain this affordable, I will be sticking with HP. I’m so curious about chromebooks now. I’ve never played around with one before. The Chromebook for sure. My daughter has one for school and the size is perfect for me travel with for work. AIO printers are such a lifesaver!! i end up needing copies all the time for scouts, sunday school, etc. or homework for the kids! I am one of those busy moms with way too much to remember. I need a new pc and have always loved HP quality. I need a laptop so bad. Mine totally took a dive, and now I’ve been sharing my sons. I want my own stuff again! I love how affordable all the HP products are.